Rhinebeck, NY (December 9, 2018) – Police originally reported on a fatal accident that took place in Rhinebeck on State Route 9G, and now those involved have been identified. Police say that, at the time, 20-year-old Emily Wootton was traveling northbound in a 2007 Chevy around 6 p.m. when her vehicle was struck by a 1997 Ford Explorer driven by 35-year-old Robert Dancy. Dancy had been traveling southbound when he crossed the center lane markings and struck Wooton’s vehicle. The crash was so severe that it closed down the entirety of State Route 9G for several hours. At this time, police continue their investigation into the incident. Between 2012-2014, statistics were taken that showed 1,098 fatalities took place involving those on New York roadways. This means that, out of every 100,000 people from New York, 5.6 of them will lose their lives. 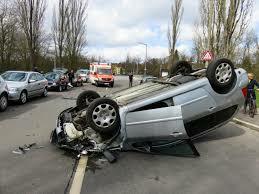 There are tens of thousands of injuries reported in these accidents every year as well. If you have lost somebody close to you in one of these life-altering accidents, our experienced fatal New York accident attorneys are here for you to help you every step of the way. At Hach & Rose, we are avid about offering out utmost support to those who have been negligently affected by others who share our roadways, leading to the loss of a loved one. Our kindhearted, well-informed attorneys pride themselves on easing the difficult process that follows one of these accidents. We don’t want you to have to handle these difficult aspects alone, so please do not hesitate to contact us today at 212-779-0057.